LASIK eye surgery is an elective refractive surgery procedure performed on otherwise healthy eyes. This makes even the slightest deviation from a perfect LASIK outcome, a potential dissatisfaction for both the surgeon and the patient. Although, most patients are very pleased with their LASIK surgery results, a number of patients have experienced serious complications after LASIK. As a result, many patients who are considering LASIK have fears about the LASIK procedure and are concerned about its risks and complications. What are the LASIK Risks and Complications? The safety and success of LASIK eye surgery are widely reported, however, like all other surgical procedure, in addition to benefits, LASIK has risks and potential complications. Such complications include all of the potential complications associated with eye surgery in general such as infection and loss of vision, as well as complications specific to corneal surgery, such as irregular astigmatism. Rarely, unusual and vision threatening complications such as retinal hemorrhage, and perforated eye may also occur with LASIK. The use of several complex medical devices during LASIK surgery. The variation in the way your eyes respond to excimer laser energy and how they heal after surgery. 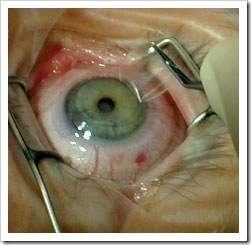 Failure to follow the appropriate standard of care before, during and/or after LASIK surgery. The U.S. Food and Drug Administration (FDA) reports that LASIK eye surgery complications occur in 1 to 5 percent of cases. As with any surgical procedure, the incidence of complications in LASIK decreases with surgeon experience, so it is important to discuss your surgeon’s experience in the field. 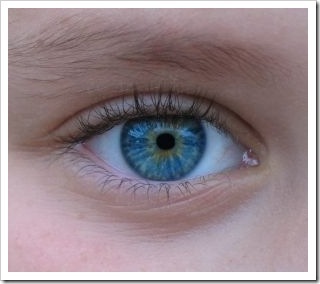 Generally, LASIK Complications were more common in the early years of LASIK. In the current practice, serious LASIK complications that results in the need for surgical intervention and/or significant vision loss are very rare. Experienced LASIK surgeons report that the risk of serious complication is less than 1% when LASIK is performed on good LASIK candidates. Even if complications do occur, most of them can be effectively managed with additional surgery or medical treatment. Overall, LASIK is a safe and effective vision correction procedure in experienced hands. If you are considering LASIK, it is important for you to understand the procedure’s benefits, limitations, risks, complications and alternatives, so that you can make a well-informed decision whether LASIK or other refractive surgery is right for you. LASIK can be the most life-changing procedure you ever undertake, and 98% of the time that is a good thing, but 2% of the time it might not be. Good post, couldn't agree more. Lasik definitely has become a safe and more effective procedure and, with recent breakthrough in refractive surgery technology, it should be even more so.